It was election day in Italy, and it seemed, at least briefly, as if Spring had arrived. 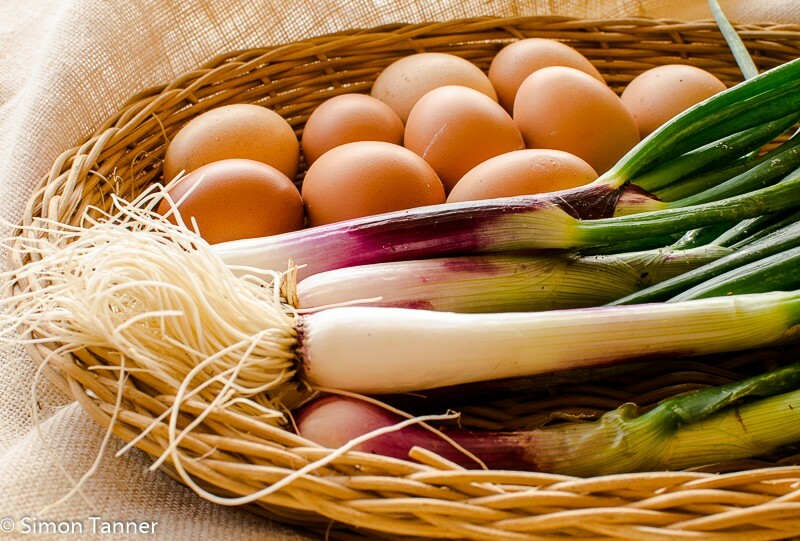 And at the market I grabbed some beautifully green cipolle fresche, “fresh onions” as they call them here. The man on the stall suggested I use the leaves to make an omelette, which is just what I did, hence today’s recipe. Looking back, and somewhat aptly, an Italian expression comes to mind: “ormai la frittata è fatta”, which is literally translatable as “the omelette is ready”, but the idiomatic meaning is “the damage is done”. Well, in this case, the omelette came out fine, but election-wise, the damage was indeed done, and Italy once again is without a government. Looking at some of the candidates, this may not actually be a bad thing. Anyway, back to the omelette, or indeed frittata (like the Spanish tortilla, it should of course remain in the original language). Although from the same family of dishes, it is in fact clearly different from an omelette (whose name interestingly also came to us in its original language). You might well eat a frittata cold or warm (in fact, that’s usually how they are eaten), but a cold French omelette is a depressing prospect. 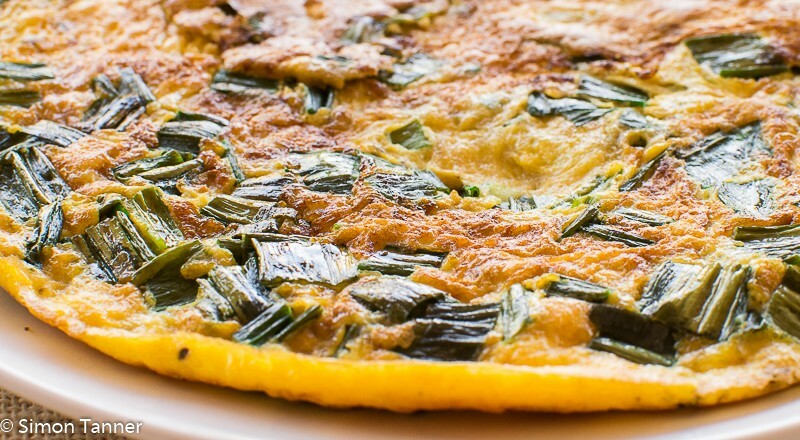 Moreover, a frittata will often be sliced into segments and perhaps even put inside a roll. In fact, in a roll is how I first met it. When I first arrived in Sicily, if I ever had to catch a train, I would often get a roll for the journey from the station bar, which looked like it probably hadn’t changed since the 1950s. The bar, not the roll, although I suspect the recipe for that hadn’t changed much since then either. Despite the massive craze for panini in England, the Italians haven’t really got the same sandwich culture as us. In fact, considering how good we are at making sandwiches, the current UK panini craze in itself is a mystery to me. An under-filled, unimaginative roll doesn’t suddenly become interesting just because you’ve toasted it and given it an Italian name. Having said that, my first panino con la frittata was a fine thing. Quite simply a rosetta roll filled with an inch-thick slab of warm potato and onion frittata, golden on the outside with crisp fringes, clearly fried in abundant olive oil, which was soaked up by the bread. No lettuce, no butter, no mayonnaise, no tomatoes. No anything, just bread and frittata. And not toasted either. As rustic as you could get. Today’s offering is much thinner, but if you want to do a thick version, use extra eggs, throw some cubed boiled potatoes into the mix and cook over a very low heat or in a round tin lined with greaseproof paper in the oven (180°C for about 20 minutes). To be honest, I probably actually prefer it this way – thick and full of potatoes (no Irish jokes, please). One of the best things about this frittata is that it uses the bits of the onion you usually throw away. 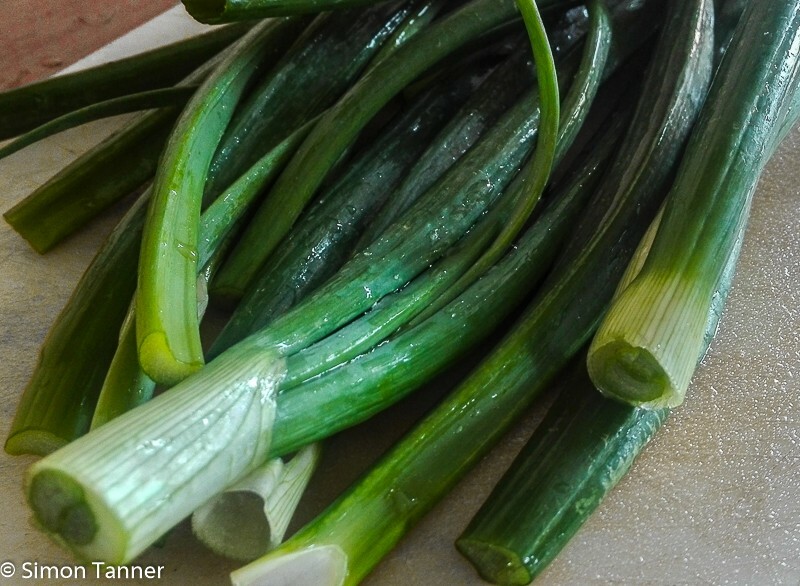 Admittedly, it’s best with Italian spring onions, which are much bigger and longer than the English variety. There is of course no reason why you can’t use the whole onion if you prefer. Heat a little oil in a non-stick frying pan and fry the onion leaves over a medium heat for about five minutes, until cooked, but not completely soft. Meanwhile, beat the eggs briefly with the cheese and season. Pour the eggs into the pan with the onions and cover, continuing to cook over a medium heat, until well set. 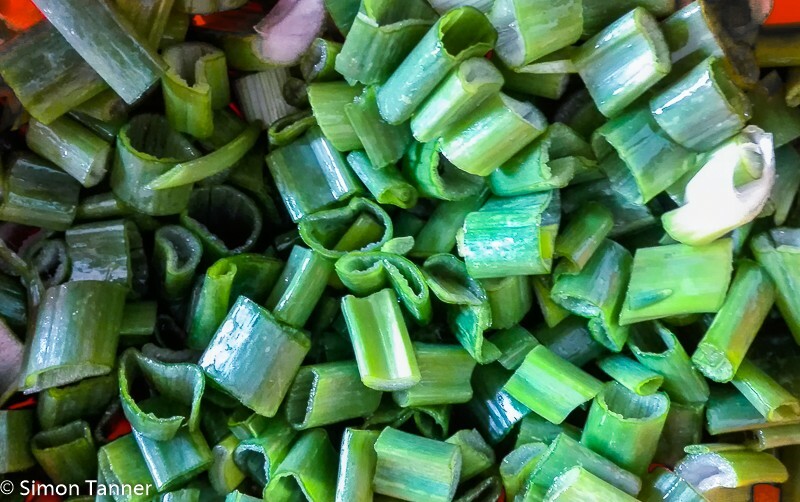 This entry was posted in Recipes, Vegetables & side dishes and tagged cipolla fresca, eggs, frittata, spring onion, vegetable, verdura by hungryenglishman. Bookmark the permalink.